Sometimes the balance of the important things, like life and death, and joy and sorrow seems to go awry. As if the metronome ticking has stopped, and nothing goes at a uniform pace any more. Too fast, too slow, too brief. 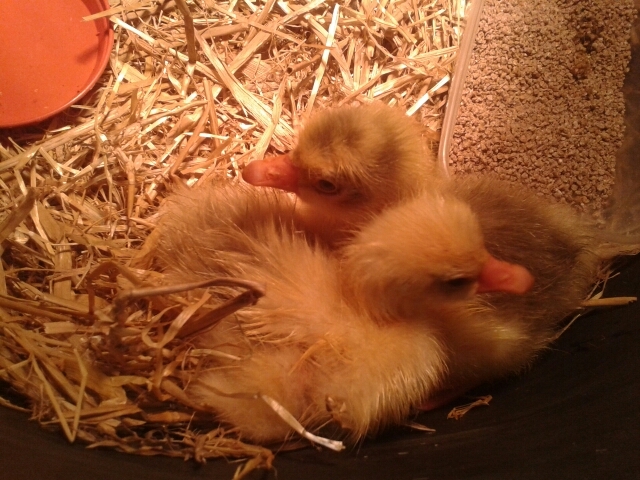 Today my first goslings hatched, and died. I have some more baby geese hatching at the moment; a physical cliche – hope springs eternal – but right now I want to show the world these two beautiful goslings, because I was so proud of them. Previous postNewcomers – Goslings are Imminent! Next postI love these geeses to pieces! Eggstravaganza. I feel really sad now.